Nigerian singer, Banky W has recounted the scary fire incident that almost claimed his life some years ago. 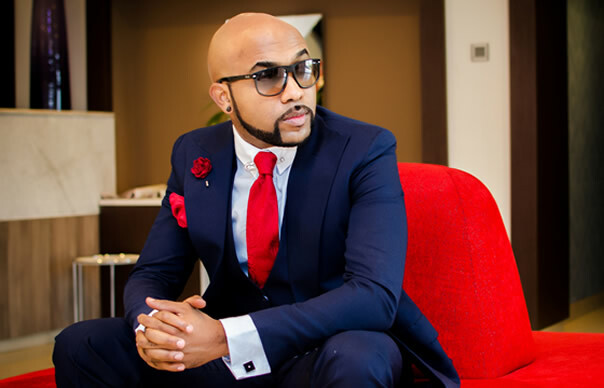 Banky W, a popular Nigerian singer, in a throwback Thursday post, shared one of the scariest experiences of his life. It was how he lost everything to a fire incidence that gutted his house, in 2017. The singer posted a video of one of his songs, #BlessingMe, which was shot after the incident. The video, he revealed, turned out to be the beginning of an incredible 2017 for him. He narrated how he had to climb down from the 2nd-floor balcony with his dog because flames had engulfed the entire 1st floor. He, however, remains grateful to God, as he did not lose his life, despite losing everything! He wrote: “Today’s #throwbackthursday post comes to you courtesy of my video for #BlessingMe – I shot this last year immediately after I had a pretty bad fire in my house. “I lost everything from clothes and shoes to electronics and awards…I ended up needing to climb down from the 2nd floor balcony with my dog because the flames had engulfed the entire 1st floor. “It was one of the scariest experiences of my life. But I was so thankful to God that no matter what was lost, I didn’t lose my life. I realized I still had so much to be thankful for, so instead of allowing myself to be frustrated, I went and shot this video to thank God. “This video was the beginning of an incredible 2017 for me – I got engaged to the love of my life, survived another bout with Cancer, got married, and completed my first home.